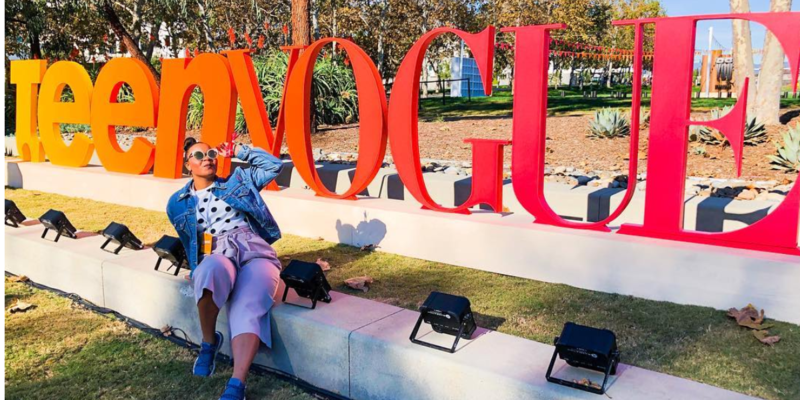 Last December, Teen Vogue launched its first two-day Teen Vogue Summit, uniting a mostly digital audience of Teen Vogue followers to inspire, encourage, and connect. This new generation of activists, creators, and innovators were provided with the insights and tools to change the world. Its success led to the brand renewing and expanding the program into two events for 2018 — the first in June and the second last weekend, back in LA where it all began. As a teen-driven brand, Teen Vogue is at the forefront of Gen Z marketing, a niche so new and different from the generations before them that many marketers are struggling to understand how they see and interact with the world. The oldest of this generation were born in 1998 and are now on beginning to enter college and the workforce. With a total population of over 70 million, Gen Z will soon surpass Millennials in size and are known across the globe for their addiction to technology. This is the first generation that learned to use an iPad before they could even speak, the first to foster friendships through Snapchat, and the first to have their entire existence cataloged on social media. They are the truest “digital natives,” a label that carries profound implications for their social lives and emotional health, not to mention their minds. Studies show that constant exposure to screens changes the neural circuitry of developing brains, leading to shorter attention spans, stunted social skills, and a heightened ability to multitask, according to the Washington Post. With less consumer loyalty than their predecessors, Gen Zers have proven difficult for brands to successfully target — and impress. To reach them, brands need to spend more time creating videos and other content that provides useful information, entertains, and otherwise impresses them enough that they share with their families, friends, and, most importantly, their followers. This Summit’s slot of speakers includes tennis champion Serena Williams, model Cara Delevingne, founder of Backstage Capital Arlan Hamilton, and a returning speaker and host, actor and activist Storm Reid. And all of their speech topics, as well as the Summit theme, were selected as a reflection of what the Teen Vogue editors see from their audience’s interest. Not surprising, young consumers are using social media at an increasingly high volume, which provides incredible data to the brands they're interacting with online. However, 25% of them abandoned Facebook in 2014, approaching social media as an opportunity to search for interesting and relevant content — not as a form of networking. This is a generation that doesn't only share social content, but strives to embody the "curator" label by embracing living in the now and sharing the world through the lens of their Instagram Stories. All of the Summit’s seven current sponsors worked with Teen Vogue’s editorial team to create bespoke activations. Returning sponsor PBteen tailored their event activations to fit with the overall theme of the Summit — last weekend's primary topic was career building and inspiring change, compared to June’s theme of getting young people to the polls. Onsite, PBteen provided “inspirational hubs” filled with their furniture and a customizable, editor-curated “change-maker kit” grab bag. Another returning sponsor, Playstation, provided a completely different experience for attendees. The gaming company approached the Summit’s theme through inspiring creativity and kindness by previewing a new PlayStation 4 positivity-themed video game, “Concrete Genie." They also tied into the professional-development aspect by hosting a Mentor Session and a “Power of Kindness” mixer with game designers and artists to inspire attendees to pursue careers in the gaming industry. Prabal Gurung, fashion's most woke designer, spoke on at the event on Saturday about why he wants the fashion industry to be more inclusive and diverse, stating "[Plus-sized women] deserve pages of Vogue." Gurung is no stranger to the spotlight for his beliefs — his political apparel declares "Resist With Love" and "This Is What a Feminist Looks Like" and his Fashion Week 2018 show featured exclusively Asian models on the runway. Gen Z is comprised of young activists who have a long list of causes they support. 60% of Gen Z wants to have an impact on the world, compared to 39% of millennials, and roughly one in four are involved in volunteering. From gun violence to climate change and the opioid epidemic to trans rights, this generation is vocal in their beliefs. They have grown up in a world filled with mass shootings, "fake news," a global recession, and seemingly constant political unrest. But, rather than become desensitized, they've mobilized and are seeking events where they can come together to further the causes they believe in.